Turiart provides the design, management and implementation of cultural tourism programs for Valencia, Castellón and Alicante. Turiart also supplies with high quality training courses for tourism professionals. Events and incentives. We organize programs for congresses, events, and all kind of incentives, providing all the necessary for support and assistance. Workshops. According to the topic proposed by the client, we design workshops for students of different ages. Theatrical routes. We handle every step of the creative process, from the initial idea and the development of the script, to the selection and the rehearsal with actors, the design of clothes and of the theatrical property, etc..
We offer regular tours in order to show you not only the history and the most important monuments, but also the mysteries and curiosities that may go unnoticed by many visitors. 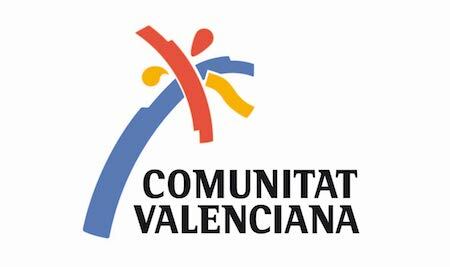 Other tours are the Cultural Tours, scheduled on specific dates, as our famous Valencian Palaces tour, the route of the Gran Via, The Republican Valencia, etc..
You can check all our tours in the CALENDAR. Since 2001 we organize training courses related to cultural tourism and tourist guides, both for private and public organizations. In 2012, after more than a decade in training tour guides, we became the first and only one company in Spain with a certified course with the ‘Q’ Quality by the ICTE (Institute for Quality Tourism in Spain). We keep INNOVATING TO IMPROVE. We design cultural tourism programs and guided tours ‘tailor-made’ for each group, according to visitors preferences, dates and times available, etc..
Each group can suggest what to do or see, or they can tell us what you want and We send a program and quote. Tour Guides are available in several languages: Spanish, English, Italian, French, German, Portuguese, Dutch, Russian, Chinese, Japanese, Arabic … in case of doubt, you can request for more information. You can see some of our proposals here. We believe in family tourism and among our services we offer routes and activities addressed to families with children. Always with the prespective of a cultural Tourism, we believe that the little ones can also enjoy a guided tour, as well as the adults. In addition to our most famous tours, as “Knights and Princesses”, “Pirates of the Malvarrosa”, or “Catch a Dragon”, our team keep organizing new activities. Copyright © 2019Turart. All rights reserved.